The Ministry of Health has been alerted of severe smoke affecting the communities of San Narciso, Louisville, San Victor, Santa Clara, San Roman, Cristo Rey and Concepcion in the Corozal District for the past three weeks. 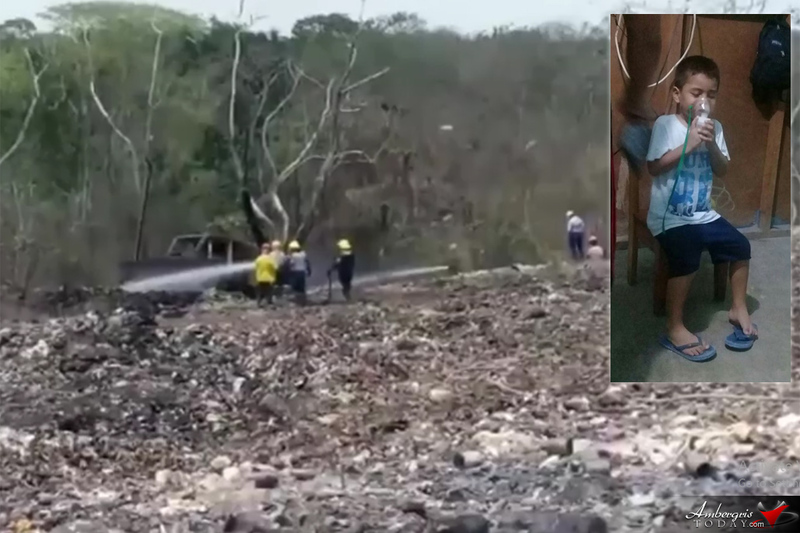 An Investigation into the matter revealed that the disturbance is being created by smoke drifting into Belize from a burning dumpsite in Mexico. 2. Wheezing, coughing, shortness of breath, and headache as well as worsen existing lung, heart and circulatory conditions, including asthma and chest pain. 3. Staying indoors and keeping windows and doors closed. a. Only open windows and doors for fresh air when the smoke situation has improved. b. Pay attention to the heat indoors and if it becomes hot, use a fan or air conditioner to circulate air. 4. Avoid using food boilers, candles, incense, gas stoves or smoking cigarettes inside the house as it adds to indoor fumes. The Ministry reminds the public if the above recommendations cannot be met, people should consider leaving to a safe area. Where it is not possible to leave the affected area, the public is advised to keep safe indoors especially if you or those you are caring for are having health problems.